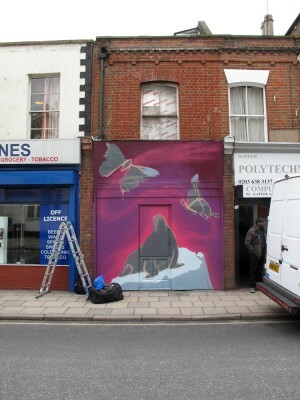 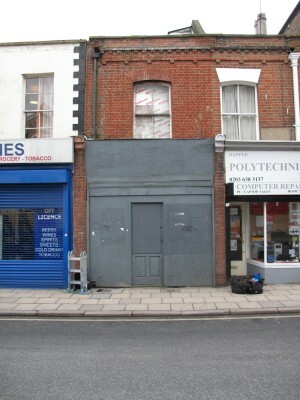 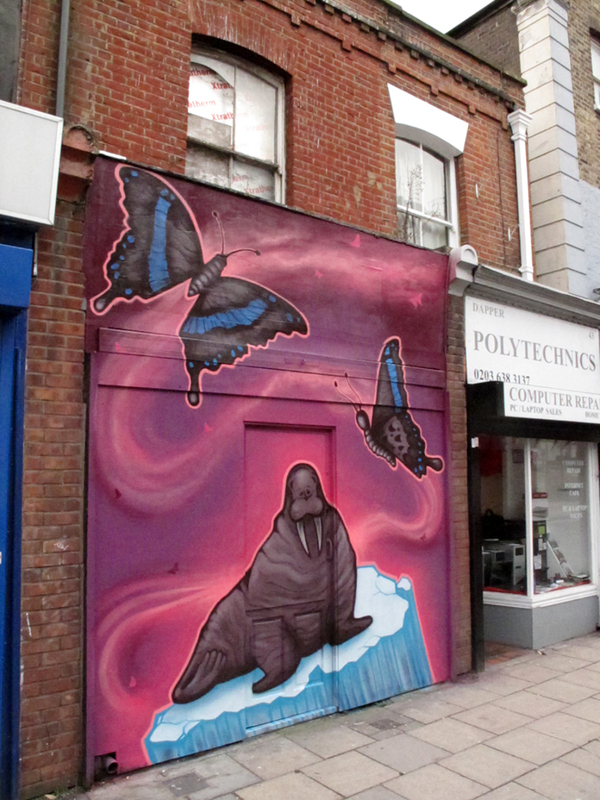 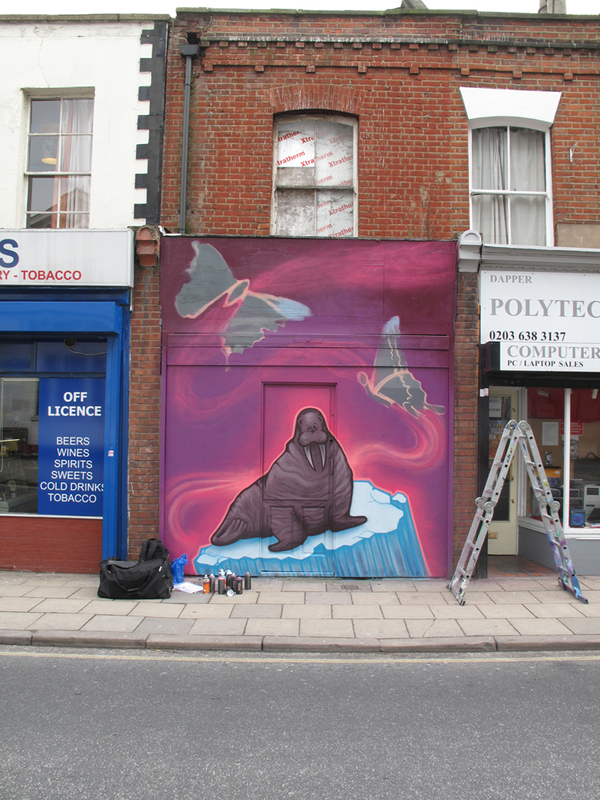 i was contacted the other week by the Forest Hill Society to help transform a vacant boarded up shop front. 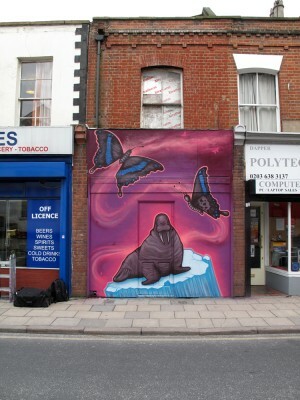 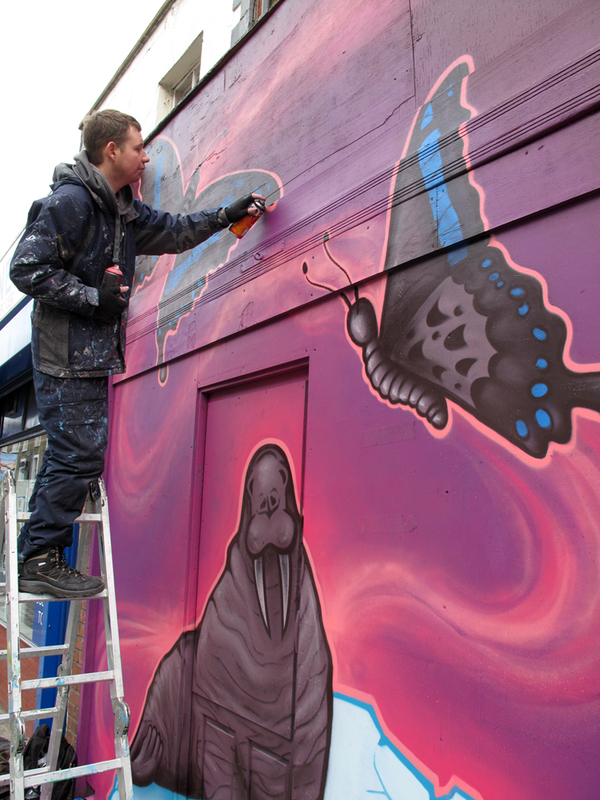 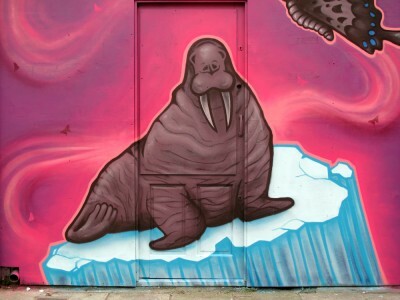 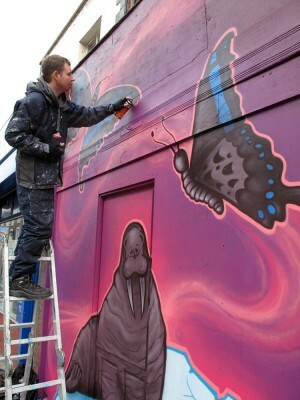 the theme was to incorporate iconic images from the local Horniman’s Museum, the most known exhibit in the museum is the very large stuffed walrus sitting on a ice platform and the Hornimans butterfly collection which Mr Horniman’s has a species named after him. 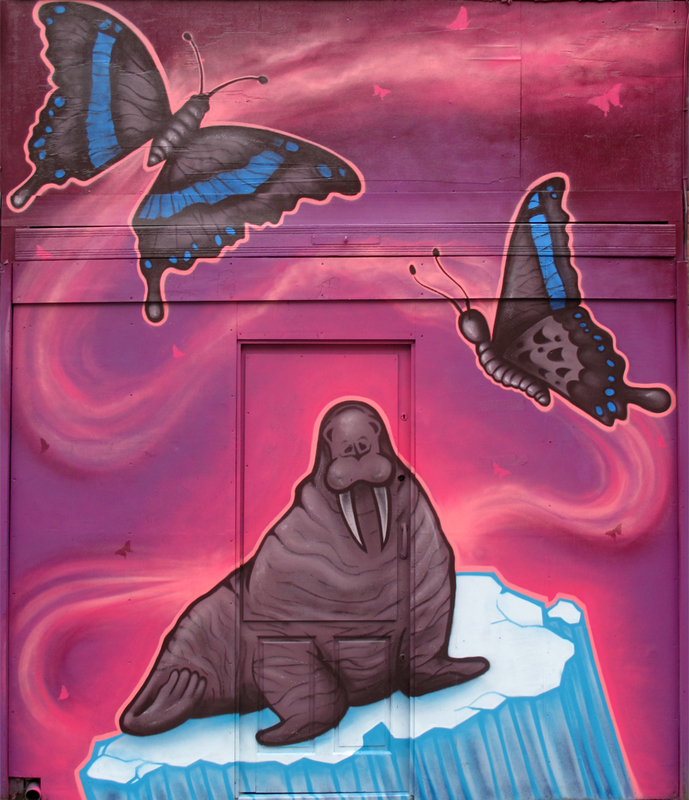 so i used these images to create a composition with the walrus as the focal point with the butterfly’s swirling around and above the walrus, i was asked to keep the artwork in a graphic / pop art style. the transformation of the space was seen by many passers by who came back through out the day to see the changes.